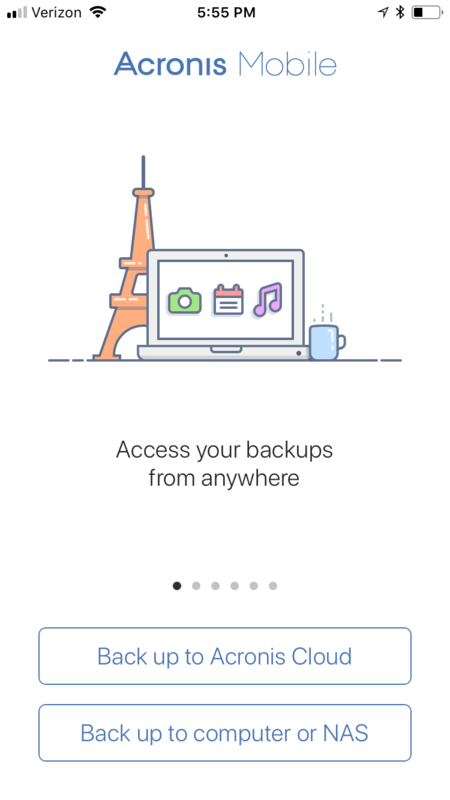 You can backup a Synology in a number of ways. Even if you have a local backup, you should have a backup offsite. Here, we’ll walk through backing up a Synology using Acronis True Image. 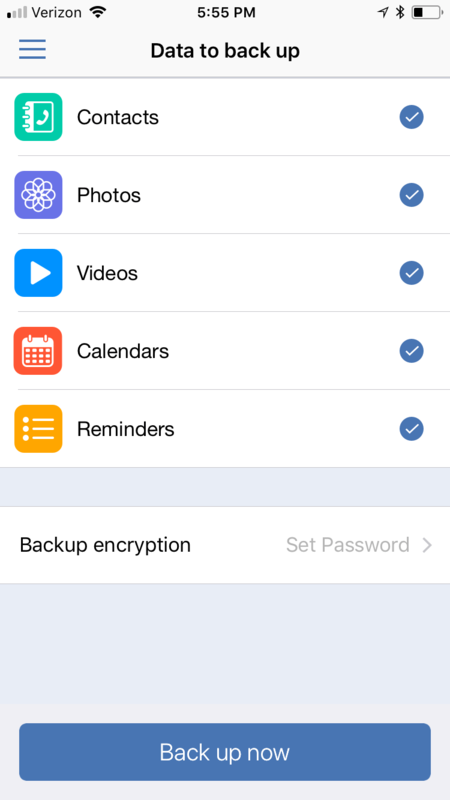 Before doing so, it’s worth noting that the only things backed up this way are the ones that are by default accessible through an app, and that you’ll have to give access to each of those entitlements in order for the backup to run. These include Contacts, Photos, Videos, Calendars, and Reminders. 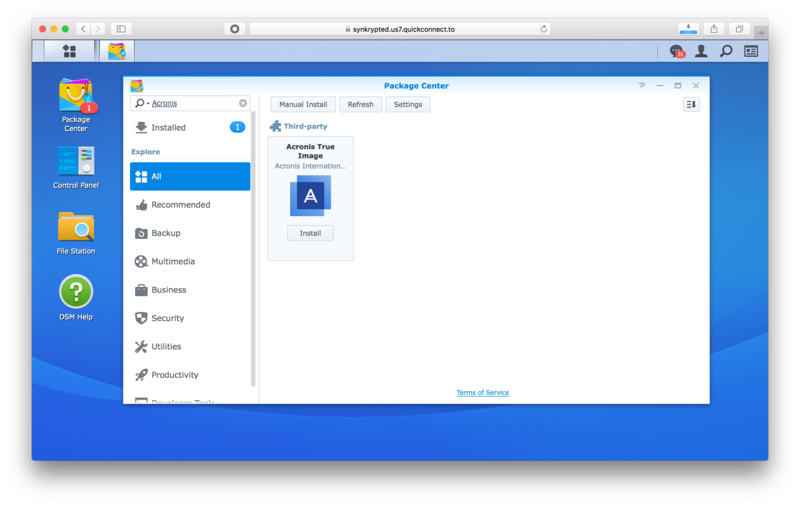 To get started, first go to the Package Center on a Synology. Then, search for Acronis. 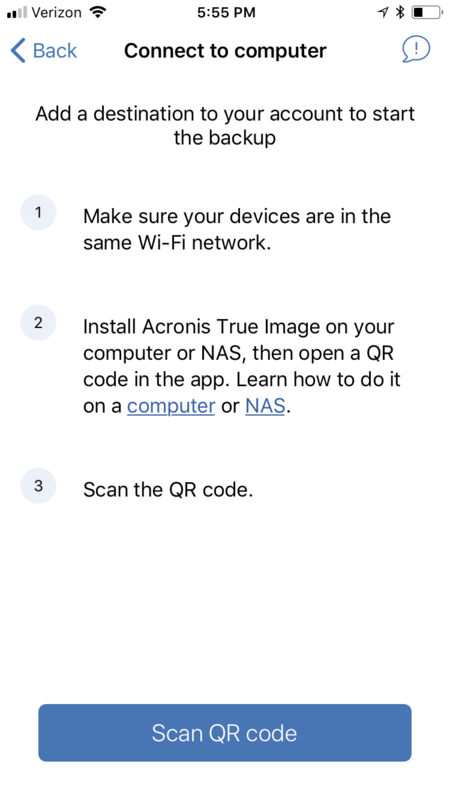 At the listing for Acronis True Image, click Install. Once installed, make sure you’re accessing your Synology through the web interface directly rather than through QuickConnect. This would be http://<IPADDRESS>:5000. 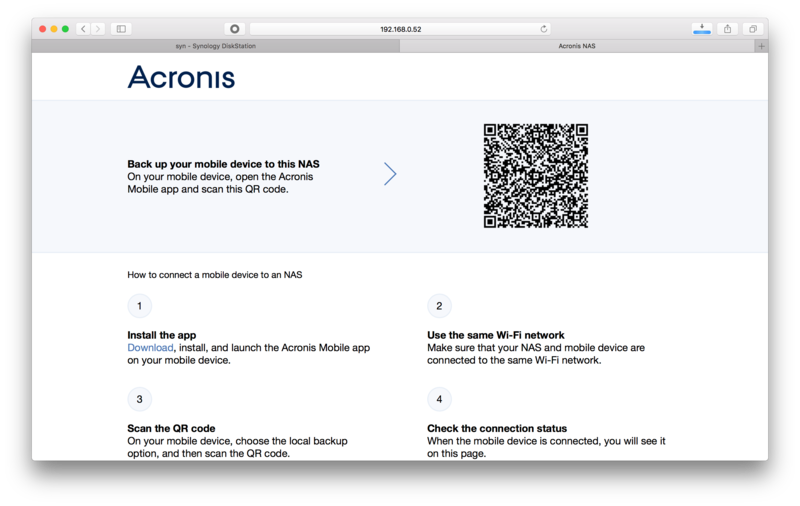 From there, open the Main Menu and then open Acronis True Image from there. 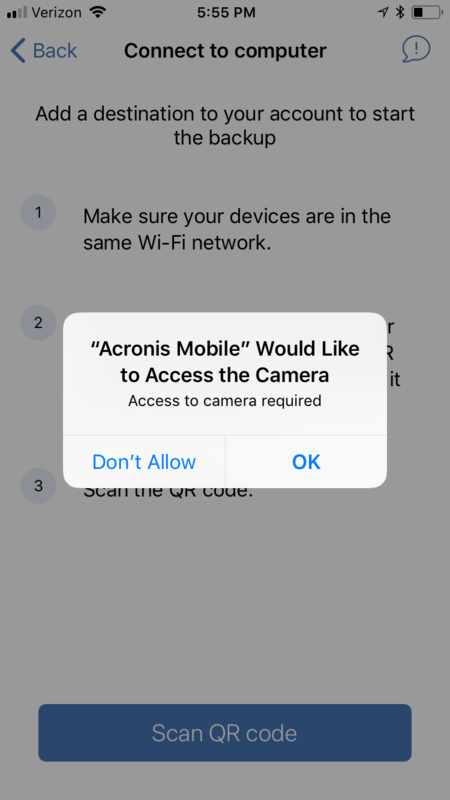 https://itunes.apple.com/us/app/acronis-true-image-mobile/id978342143?mt=8 ) on the iOS device you’ll be backing up. Once installed, open the app and tap on Back up to computer or NAS. 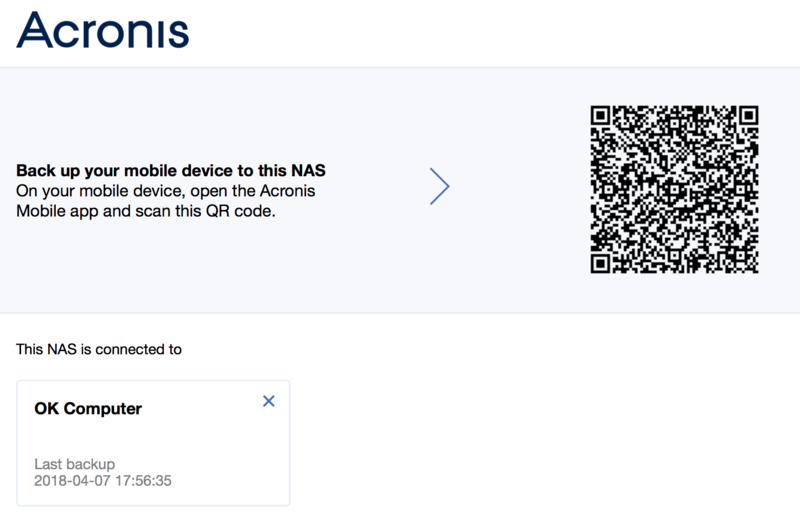 Then tap SCAN QR CODE. Then provide access to the camera in order to scan the QR code. Then choose what you’d like to back up and tap on Back up now. Once the backup is complete, you’ll see the backup shown on the Synology when you open up the Acronis app. Backing up to iCloud is still the only way to get everything else. But it’s still useful in some ways (e.g. if you are a real estate agency and just want to back up Contacts and Photos in case something happens).